I've been planning on writing this article for a while, but every time I started I felt overwhelmed by the prospect of trying to distill Delphine's presence on Orphan Black into just a few thousand words. 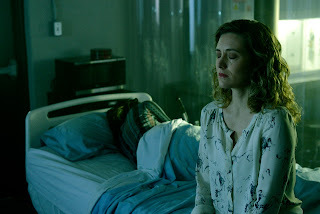 For all that she's not one of the main clones or a direct relative, for all that she doesn't even appear until partway through the first season, for all that we still never really understand her even after the end of season three, Delphine is probably one of the hands down most interesting characters on the show. And that's saying something. Delphine Cormier (played by Evelyne Brochu) is a mystery. We meet her part of the way through the first season when she stumbles her way into Cosima's life. Cosima, of course, is one of the main clone sisters of the story (all played by Tatiana Maslany), and she suspects from the beginning that Delphine is there to insinuate herself into Cosima's life and become her "monitor". In other words, Cosima knows pretty much from the beginning that she's being set up. It's a good setup too. Delphine appears all weak and vulnerable and sad, but she "accidentally" drops a transcript that reveals she's a brilliant post-doctoral fellow working in evolutionary biology, just like Cosima. Despite Cosima's instincts and the warnings of her sisters, the two become fast friends. Even slightly more than friends. And all the while we're holding our breath because Delphine is absolutely definitely too good to be true. Except she's also sort of not. I mean, she is definitely lying about herself. She really is a monitor working for the DYAD Institute. She's older than she said, though not by much, and isn't actually a student anymore. She's a fully graduated PhD working for DYAD as Cosima so easily learns just by freaking googling her. She's also engaged in some sort of physical relationship with Dr. Leekie (Matt Frewer), and seems at least a little bit aware of the alternate ends of Neolution, the radical science cult infiltrating DYAD. But she also turns out to be much more loyal to Cosima and her sisters than anyone anticipated. She holds back vital information about Sarah having a daughter and conceals a lot of details from Leekie himself. 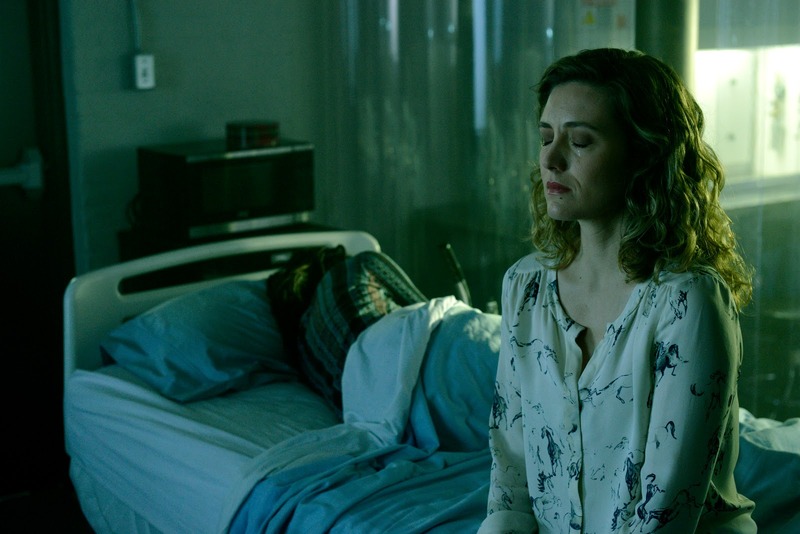 When Cosima discovers the truth, Delphine seems genuinely shattered. She even quits her job and follows Cosima to Toronto to make it all right, and helps the clones crack their own DNA sequence. In the second season we find her back at DYAD but this time working with Cosima. Mostly. Delphine, for all that she's in love and committed to helping the clones, is still kind of really sketchy. She goes against Cosima's wishes and uses Kira's stem cells to try to cure her. She's still willing to overstep ethical boundaries and do whatever it takes to get her results. It's just that now she's focused on those results being the safety and health of Cosima. When Cosima figures this out, figures out that her beloved girlfriend is a whole hell of a lot more dangerous than first assumed, she turns Delphine away. But eventually she relents, on one condition: love all the clones equally. Be a psychotic, protective, intensely amoral person, but do it for all of us or none of us. It's no real surprise that this blows up in Cosima's face. Season three sees Delphine ascendant, rising to great power in DYAD and with their parent company, Topside. She's now the head of the organization, balancing a huge number of issues and concerns. She breaks it off with Cosima, basically explaining that she can't do what she needs to do if she loves one clone more than all the rest, and Cosima takes it badly. But season three really just confirms what we knew all along: Delphine is a tiger dressed up like a lamb, and she will do whatever it takes to keep her people safe. I personally love her in season three because while some in the audience saw her behavior as wildly out of character I saw it as the fulfillment of what was just hinted at before. Delphine always had a terrifying pragmatic streak. In season three we see how far that streak goes. She grinds her thumb into a woman's eye wound to get her to talk. She casually tells a quiet story about helping a girl at boarding school commit suicide while interrogating a prisoner. She has her ex-girlfriend followed and does background checks on everyone and just generally is the kind of terrifying person I always suspected she might be under the surface. It's amazing. It's amazing because it all feels really natural. Delphine isn't nice or good. She's never been nice or good. She's just been more aligned with nice or good people at other points in the show. In season three she's allowed to take center stage and we see exactly how intense she really is. But we also get to see that all of this intensity is for a very good end. She really does care about Cosima and all of the clones. She really is trying to keep them safe. And everything she does is for that end. I'm not going to spoil how the season ends, since I'm sure at least some of you don't yet know, but suffice to say that Delphine is front and center for all of it. And yet there's something fantastic in seeing how far we've come with the character and realizing that, at the end, we really know nothing about her. I mean, seriously, nothing. We know she's French. Probably. We know she's an evolutionary biologist who worked with DYAD. 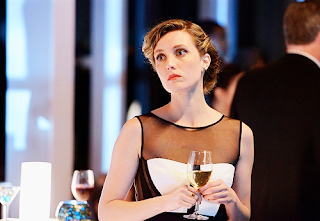 We know that at some point she and Leekie started having an affair that ended when she became Cosima's lover. And we know that she owned a hair straightener. That's about it. Well, I mean we might also know that she went to boarding school? But that might have been a lie. It's honestly incredibly hard to tell. And this fascinates me. The fact that we could go three seasons with Delphine as a main character, where she could occupy such a huge role on the show, and yet we know so incredibly little about her seems hilarious to me. It also seems like really good writing. See, really good writing doesn't need backstory or flashbacks to get its point across. Ideally you should understand who a character is without needing to tell us where they're from or who their parents are. And if you do your job well enough, then chances are that your readers will come to want to know that stuff. You don't want to dump it on us, the audience, before we actually want it. Then it becomes like work. But you should make it so that we're curious. So we want to see how this person came to be. I want to know how Delphine became Delphine. I want to know if she was always a budding little sociopath or if that was recent. I want to know if she had a perfectly normal nice childhood or if her parents always knew there was something a little off about their angel. I love how she looks like a puppy or a sweet young thing but that the whole time she's holding in this vengeful wrath. I just really really love Delphine. It's something I've mentioned before, but I think that in a lot of ways, the complexity and amorality of characters like Delphine is just as important to the idea of "strong female characters" as purely heroic women or female superheroes or other examples of feminine goodness. Yes, it's important for girls to have good role models, but it's also important for us to recognize the feminine capability for murder and torture and evil. We need characters like Delphine because women aren't inherently good. We're not inherently evil either. We're people and that means we're inherently complex. Delphine's not good or bad, she's just there. She's a person who can serve good or bad ends. I like that about her. It makes her human. She's not just a love interest or a foil or a one off female stereotype, but a rich tapestry of confusing and conflicting personality traits. And that's awesome. I think it's worth pointing otu as well that Orphan Black is one of the best shows on right now for complex and interesting female characters. I mean, not only do I write recaps of this show, I've also done "Strong Female Character Friday" articles on like half the main characters: Helena, Alison, Mrs. S, and now Delphine. The women of this show are varied and complicated and truer reflections of real humanity than I've seen in a long time. That it's not just the clones who are given such nuanced development is just icing on the cake. Delphine Cormier is an amazing character. Capable of great and spectacular love and yet also completely capable of shooting a man at point blank range, she reflects all the best dualities of what a woman can be. And she does all of it without us ever being subjected to a long monologue on "what made me this way". Nope. She just is. And that's honestly what I want. A woman who just is and who needs no further explanation or excuse. I will admit that I miss this cuteness, though. Despite Cosima's instincts and the warnings of her sisters, the two become fast friends. Even slightly more than friends. The thing I like most about Cosima and Delphine's initial attraction is that it plays out more or less exactly like it would if one of them was a guy. The fact that we could go three seasons with Delphine as a main character, where she could occupy such a huge role on the show, and yet we know so incredibly little about her seems hilarious to me. It also seems like really good writing. And acting. This style of characterisation puts a higher demand on the actor to keep the character compelling. I want to know how Delphine became Delphine. I want to know if she was always a budding little sociopath or if that was recent. I wouldn't say sociopath; she's got too much capacity for love and guilt for that. I'd say a streak of fanaticism - and guess that streak was always there - whatever she's devoted to gets a white-hot fire of devotion - but white-hot, not red hot, so it can easily be mistaken for coldness (which I suspect is what Leekie did when he assigned her to Cosima). Hell yes. Both about the "proceeding like she's a guy" and the part where this type of storytelling takes a lot more acting talent. I guess you're right about her not being a sociopath, but she's definitely something! Fanatic seems about right. She's just willing to go so far and so aware of how far she'll go. It's intense and also really interesting. We don't normally get to see female characters who are fanatics but also brilliant but also lovers but also villains sometimes... We don't often get that level of complexity. She's also ... at least a little bit aware of the alternate ends of Neolution, the radical science cult infiltrating DYAD. I think there are two Neolutions. One of them is the "self-directed evolution" Leekie preaches in that lecture, all about individual bodily choices - which there's nothing sinister about, really. But I think the second group is based on the fact that on a biological level, it's species that evolve, not individuals - the "self" is humanity at large, and the "directed" is the Neolutionists determining their vision of what humanity should be and imposing it (I can't help putting Coady's deeper project together with Leekie working on artifical gestation tanks and seeing two facets of a single agenda). If I'm barking up the right tree, people in the first group - like Olivier and Astrid - are essentially test beds for modifications and techniques as far as the second group are concerned. Though some of them are both depraved and star-struck enough - again, like Olivier and Astrid - to employ as agents (Leekie never treated Olivier with anything but contempt, whereas Olivier seemed to worship the ground Leekie walked on). But I do find the idea that Leekie and Coady knew about each other hard to believe. They are such very different people with very different understandings of their end goals. I can only assume that someone else, like Dr. Nealon or Mrs. Duncan was actually the one coordinating and that the hands had no knowledge of each other. Mm, I think you're right about Leekie and Coady - for one thing, Coady didn't seem to know about Neolution at all, or at least that it had influence over Castor - and if she and Leekie were working together, she wouldn't need infiltrators like Paul. But artificial gestation tanks, weaponised sterility, and Nealon invoking a new Adam and Eve all dovetail in a way I find rather ominous.